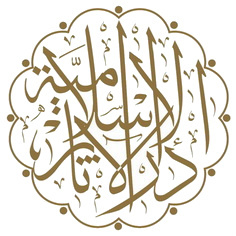 The Dar al-Athar al-Islamiyyah (DAI) is a cultural organisation based on a Kuwaiti private art collection. Since its inception in 1983, DAI has grown from a single focus organisation created to manage the loan of the prestigious al-Sabah Collection of art from the Islamic world to the State of Kuwait to become an internationally recognized cultural organization. Help your children be a part of art . . .
We’ve planned a full schedule for Cultural Season 17. 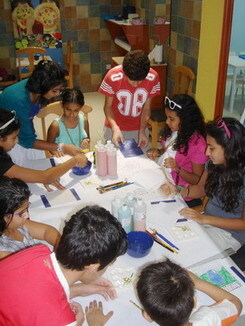 Classes will be held in the Workshop at the Amricani Cultural Centre on Saturday mornings, from 9:30. The classes for 8 – 12 year olds last 2 hours; the classes for 6 – 8 year olds last 90 minutes; and the combined classes for 6 – 12 year olds last 2 hours. I have copied the October schedule, but do go online (link) to find out more information on their year-round schedule. Activities include: Stories into Plays (and actual acting), ceramic painting, Mughal jewelry, poetry writing, and much more. What is also more appropriate for us at Play.Teach.Love is that they have included a section on WHY it is helpful to include your children in art and creative activities. Definitely PTL APPROVED! value the diverse range of ideas and points of view contributed by the multi-cultural nature of the workshop and.